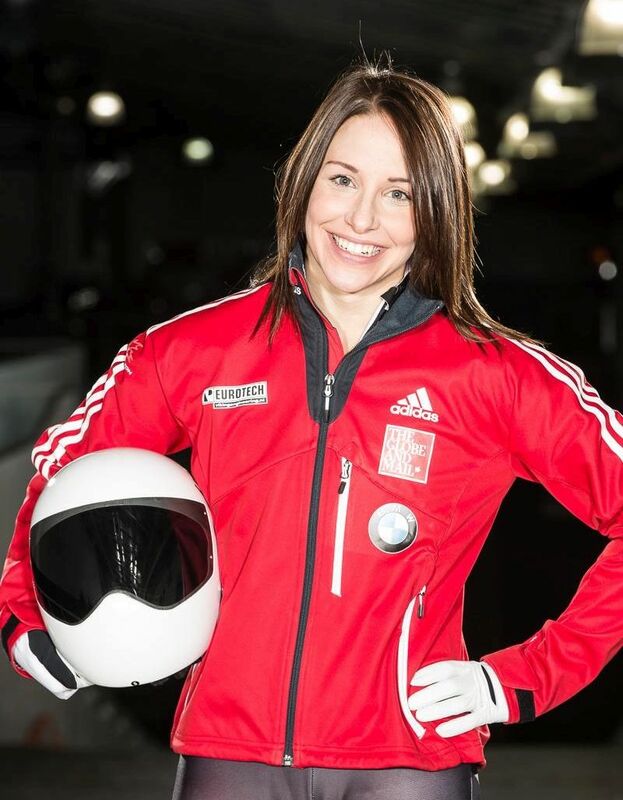 Canada’s world class skeleton racer Cassie Hawrysh shares her healthy eating tips. 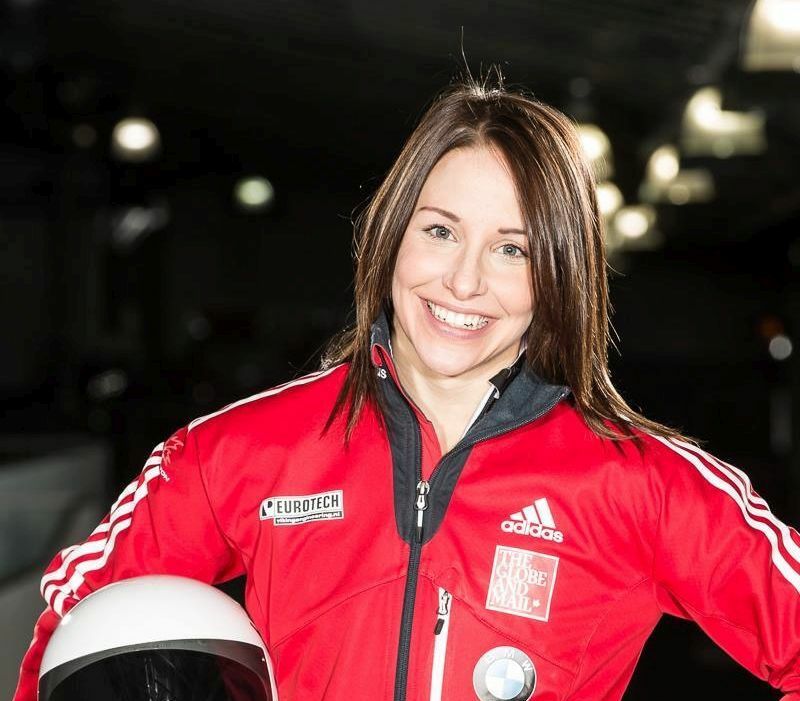 Cassie Hawrysh, Canadian champion skeleton racer knows every split second counts in her sport. Sliding headfirst, lightning fast to the finish is what Hawrysh is used to doing well. With a pair of World Cup fourth place results, and several podium finishes to boost her confidence, Hawrysh is setting her sights on the 2018 Winter Games in Pyeongchang. Q: When did you know you wanted to become a skeleton racer? A: I certainly did not grow up with the dream of becoming a professional tobogganer – let’s be serious – it wasn’t even on my radar. However, when I was presented with the opportunity (in October 2009) to dive face-first at speeds reaching more than 140km/h my heart just couldn’t say no, even if my brain was wondering if I’d lost it. Q: When was your first competition and how was it for you? A: I was able to race locally within the first year I started, but my first World Cup race was in Lake Placid, NY in November of 2012. I can’t even begin to tell you how amazing it was. The international names, the cameras, the schedules, the media – I loved every second of it. Q: Tell us about your training regime? A: Dry land training [from] April – September is when skeleton racers do the bulk of their speed and conditioning training. No tracks are open anywhere in the world, so the playing field is even. Currently my schedule is 6-days a week consisting of about 5-6 hours of training per day (this can include treatment and recovery). We spend the early mornings at the track sprinting and the mid-mornings in the gym lifting weights. We are always working on speed, technique, power, precision, tons of sport-specific movements and relentlessly looking to make our strengths stronger and our weaknesses our strengths. Q: What other sports do you like to do? A: As a professional athlete I choose my extra-curricular activities very carefully. However, I do love all the sports that get your blood flowing: rock-climbing, surfing, skiing, cycling, I’m always up for a good adventure! I am also still an avid beach volleyball player and love to challenge the guys to a round of golf! Q: Tell us your healthy eating habits? A: Many people, athletes included, get a little lost when it comes to nutrition. One reason is that there is just so much conflicting information that it is difficult to know what or who to listen to for advice. The trick is to find out the most effective plan for you! 1. Eliminate sugar – this one can be the trickiest (I know) but if you commit you’ll see results! 2. Replace the sugar calories with healthy fats. 3. Eliminate synthetic additives, colourings, and flavourings. Including: aspartame. 4. Eat protein with every meal. 5. Be mindful while you are eating. Making healthy choices is challenging when you are distracted by other things such as driving, reading and watching TV. 6. Try not to rush; enjoy your food! Q: Which recipe you would like to share here? A: These mini quiche are amazing, made in advance – they are a great addition to my morning routine, and travel well – just in case I have to eat on the run! A: I am currently living and training out of The World Athletics Centre in Phoenix, Arizona. This is a brand new journey for me: new coaches, new teammates, new programming, new routines and a new city. That being said, after just a few short weeks I can say it was the right choice. The consistency and focus alone will undoubtedly take me to another level. I’m excited to see what I will achieve in the coming weeks, months and years. Stay tuned! Follow Cassie’s journey at www.cassiehawrysh.com.